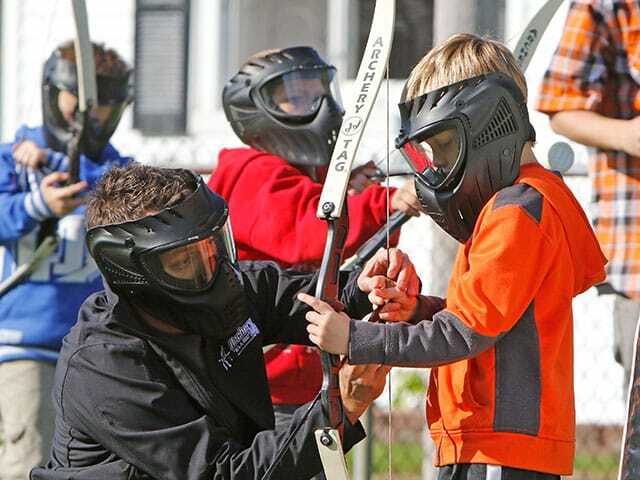 BattleGR Tactical Games provides unique laser tag and Archery Tag® adventures in the Grand Haven area. Join us for your next team building event or special celebration. Book online now or call us at (616) 345-0698 to make your reservation. We specialize in family-friendly, team-building laser tag experiences. 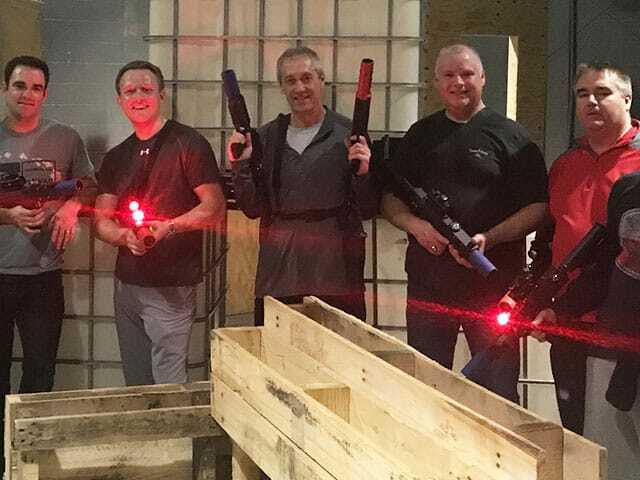 Enjoy a one-of-a-kind laser tag encounter at either our indoor arena or with one of our mobile laser tag adventures. 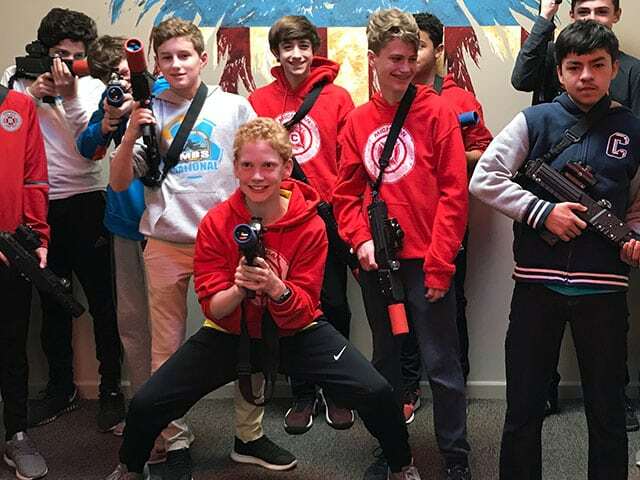 Our laser tag games are available for kids and groups of all ages, as we have unique experiences that vary in difficulty level. Choose from some of our most popular missions, including Team Elimination, Boss & Minion, Infected, Free For All, and more! 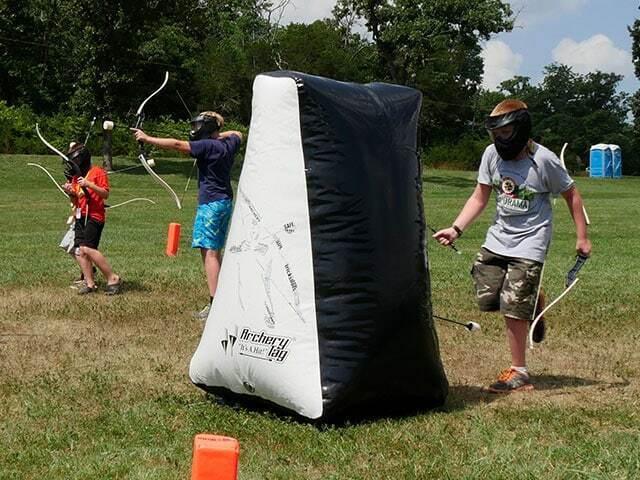 Archery Tag® is an interactive experience that provides more physical activity than other team or group games. It can be played anywhere, whether it be indoors at a gymnasium, or outdoors in a backyard. Anyone can play – no experience with bows and arrows necessary. Our exclusive Archery Tag® gear keeps you safe while still enjoying maximum competition. Previous customers have found our foam-tipped arrows to be fun and engaging, while also harmless at the same time. BattleGR provides a portable arena, created to give you a unique combat zone for your laser tag party or mobile archery tag event. 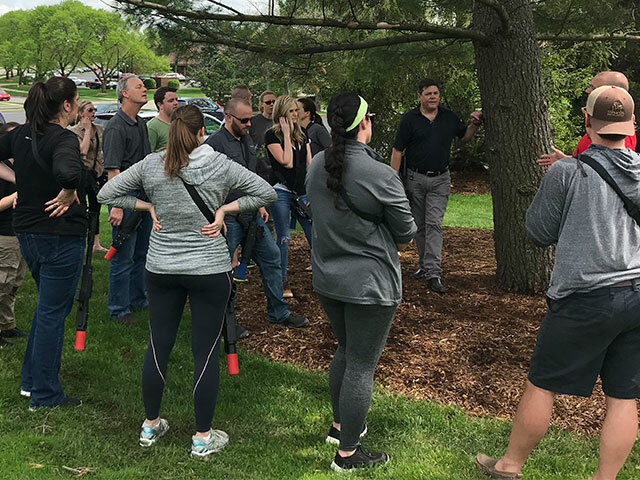 Our mobile service includes travel to your location in Grand Haven, set up of all barriers and obstacles, a game facilitator, game briefing/rules, event invitations, and many other extras. We are happy to host all types of groups such as schools, bachelor and bachelorette parties, youth groups, family reunions, homeschool groups, and office teams. 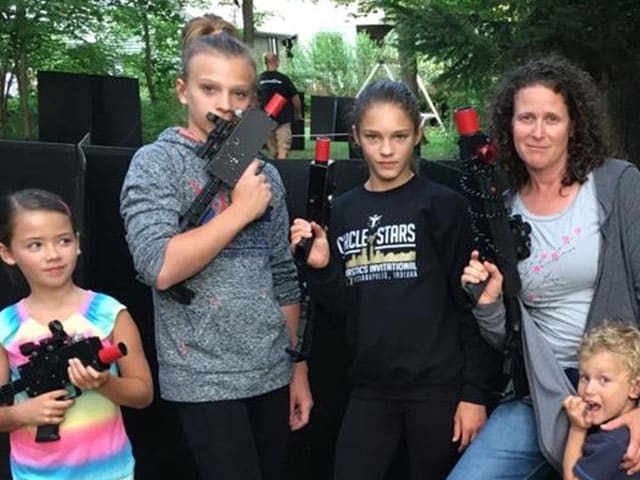 BattleGR specializes in providing a safe yet entertaining adventure for laser tag and Archery Tag® enthusiasts in the surrounding areas of Grand Haven and Grandville. Book online now or call us at (616) 345-0698 to begin planning your next group event today.